Cards so tough you'll get more than just a papercut! 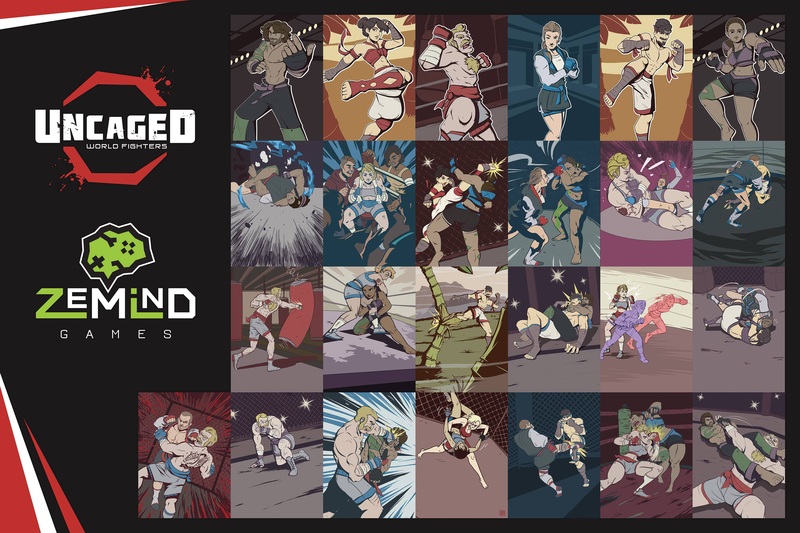 Back at March's EGLX show, local hero CJ Andriessen and I got to sit down with Uncaged: World Fighters, a mixed martial arts-based card game where two people use various fighting styles to attack and defend until one person is beaten into submission. CJ and I were relative strangers before that fateful day, but came away fast friends after using boxing, kung fu, Jiu-Jitsu, and Muay Thai to beat each other down using the game's colorful hand-drawn cards. 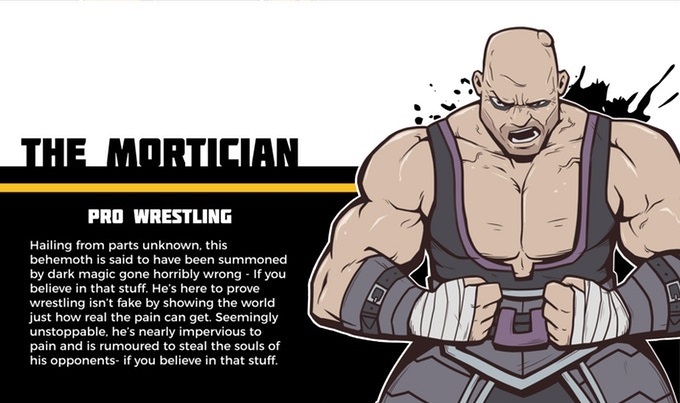 Creators ZeMind Games have just announced they're heading to Kickstarter to add professional wrestling and taekwondo to the mix for even more fighting disciplines. And man, I'm really looking forward to it. Uncaged: World Fighters is currently a relatively small production, available online and in local shops in the Toronto area where the studio is located. The team wants to expand not only the roster of fighting styles with the taekwondo and pro wrestling sets, but also the production of the game by producing bigger quantities to get in stores around the world. 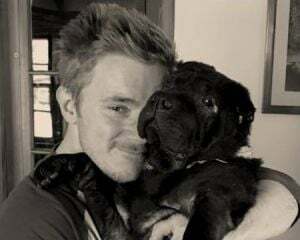 I got a chance to talk to Charlie Barangan, the Digital Outreach Specialist for ZeMind Games and creator of Uncaged, about what goes into making a card game as an indie studio. D: How'd the base game do both in sales and reception, and how did that influence your decision to go to Kickstarter for this expansion set? CB: The reception to the card game has been overwhelmingly positive, and our sales reflect that. You'd be very surprised to find out how many MMA fans are total gaming nerds and how many gaming nerds want to live a martial arts influenced life. The Venn Diagram of those two groups is closer to a single circle than you might think. It's why we keep the game going at all! Additionally, while we enjoyed our time on our current publisher, we really wanted to step our game up and Kickstarter was a great way to do that. D: What kind of hustle do you guys do not only as an indie game dev, but an indie card game dev, and how do you think that's different from the journey of a video game dev? CB: Haha, OOOH BOY. That's a doozy of a question. As an indie mobile studio, we're very used to the grind of coding, testing, and repairing when it comes to the games. It unto itself, is a pretty crazy experience (as anyone who makes digital titles will tell you). What we've learned from doing the card game development thing is the idea that there are no do-overs. Once a card is printed and released, THAT'S IT! No taking it back, no repairing its code; that's it, and it's out. The sense of permanence each card has is kind of a big deal, especially in the unforgiving nature of physical gaming. One wrong word can change everything. It REALLY pushes the importance of language, and while no card game has ever gone without errors, it's definitely something you try and keep to a minimum. D: How has showing a card game at shows primarily dedicated to video games affected the development of your game, or how you present yourselves? CB: Gamers are gamers are gamers. Let's be real. You played it, and you like games of all types! Sure, the fact that we market a tangible tabletop game at conventions largely dominated by digital titles makes us stand out *achoo* EGLX *achoo*, but it's almost always in a positive sense. We LIKE standing out. It's often pitched to gamers as, "A competitive fighting game without frame data." Novelty aside, Uncaged brings a lot to the table that its digital fighting game counterparts do as well. 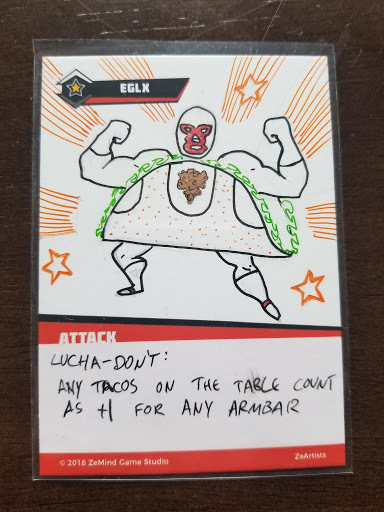 We have, on occasion made convention specific collectible cards, because if gamers love anything it's a solid collection, but it rarely (if at all) affects the mechanics of Uncaged: World Fighters or any of its expansions. We present ourselves as a bunch of people who really like making games, aspects of making games, and being huge nerds. That's what we are, and we'll always be true to that. Check out Uncaged: World Fighters' Kickstarter for the new expansion sets. Going to EGLX this October? The team will be there demoing their game and bringing new fighters into the mix. Maybe if you're lucky, they'll make you a sweet custom card like they did for me. I've got a +4 to my armbar as we speak, baby.